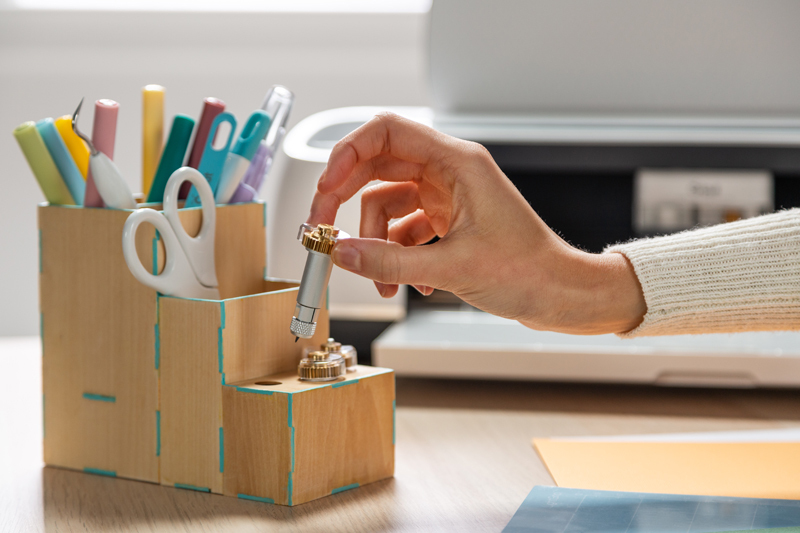 Learn how to make this handy organizer using Cricut Maker® and Knife Blade. If you’re anything like me, you have your crafting supplies ALL over the place. 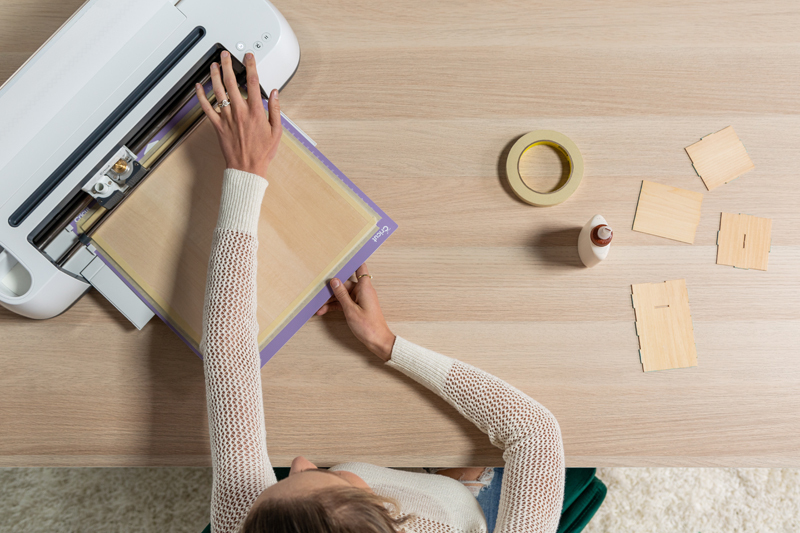 My Cricut® pens, hand tools, and machine tools are vital to my crafting space and are my most frequently used items. I wanted to create a solution that organized my favorite craft gadgets in one place and always within reach. So I did! I love that I now have a place to keep all of my favorite things! The best part, I made it cutting basswood using my Cricut Maker®. Once I determined the design and created my canvas in Design Space®, the project moved along relatively quickly. Lucky for you, those steps are complete. Take a look below at the full tutorial and be sure to share this project with friends & family. 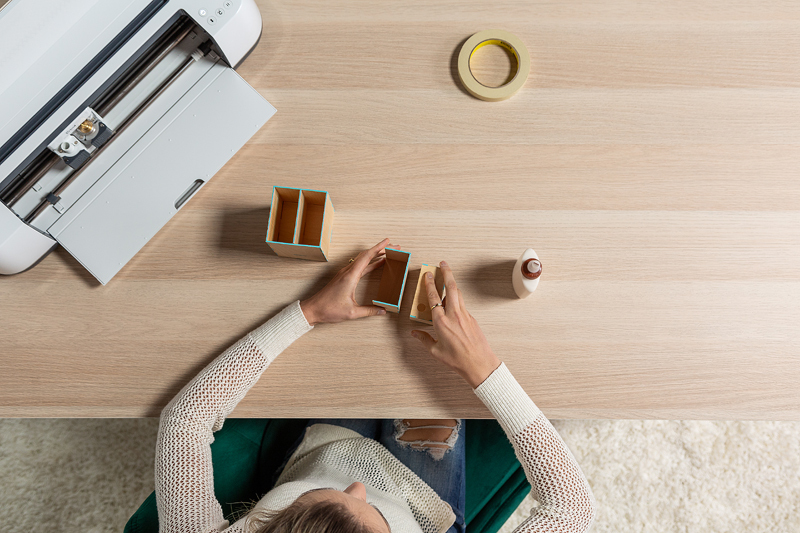 Begin by opening Cricut Design Space using this link to the project Pen, Tool & Blade Organizer. This project makes one organizer that holds your tools and Maker blades! Use masking tape or painter’s tape to secure edges of the basswood to your mat. 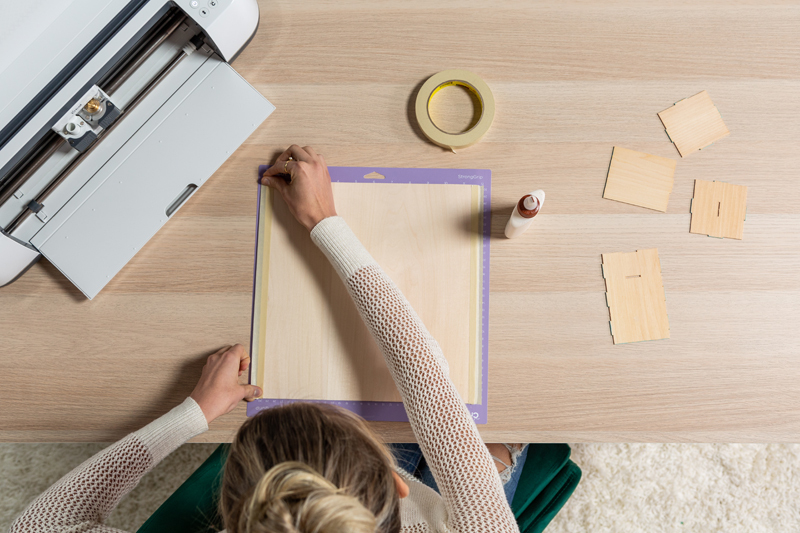 Follow the prompts in Design Space® to cut images from the basswood. Use the correct cut setting and the Knife Blade. If you have never used Knife Blade or worked with basswood before, check out these videos from the More Help section: Knife Blade FAQ, Cutting Basswood with the knife blade. Paint the edge notches of the organizer pieces aqua as a decorative effect. Dry fit the pieces to familiarize yourself with how they fit together before beginning assembly. 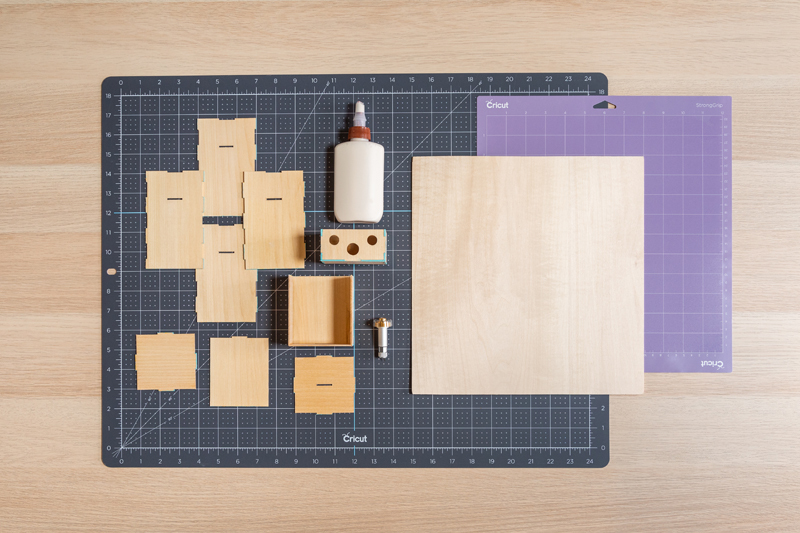 Use wood glue to attach the pieces. They should fit together like a puzzle. Be sure to place the interior pieces before attaching the fourth side of any of the containing boxes. The organizer should fit together snugly enough to hold itself while drying, but some hand pressure may be required initially. Use light clamps if necessary. Seal the organizer with a light coat of clear sealer. Allow to dry completely before using. Now that you have completed your tool organizer, throw some pens in there! Glitter Pens! Your Weeder tool! Your knife blade! Your rotary blade! Your fine point blade! Anything you’d like! Be sure to share this blog with friends who need this in their life.